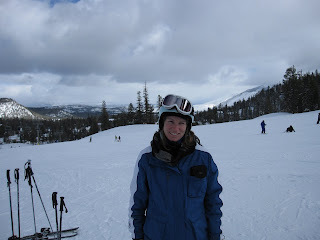 I spent the last few days in Mammoth Lakes, CA skiing at the Mammoth Mountain Ski Resort and enjoyed the stunning views and great snow. My boys are off this week for Spring Break so we took advantage of the reduced rates (condo and lift tickets) and the 12 to 21 feet of snow and drove up. 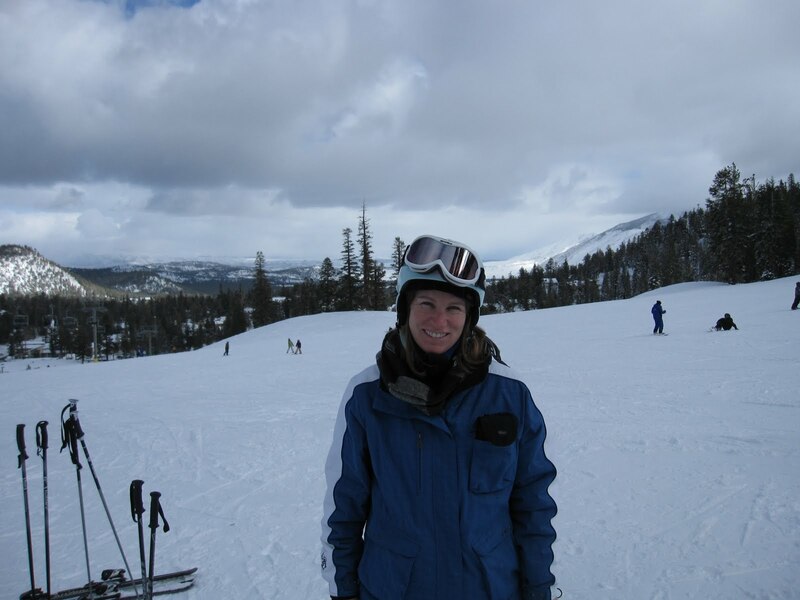 I learned to ski when I was three and have enjoyed many great ski vacations and too numerous to count day-trips to the local mountains in Southern California. I've been coming to Mammoth for a long time, first with my parents, then the crazy fun trips with work buddies, trips without children and now trips with children. 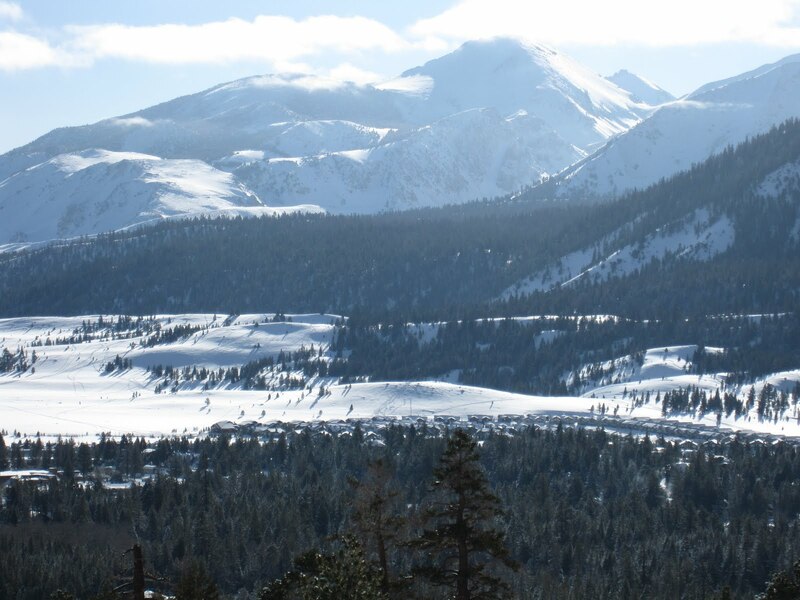 I think I had my first and only bloody nose in Mammoth when I was a little girl and remember frigid trips up ski lifts when you think it can't get any colder. Skiing with teenagers is a different kind of fun as we bolt off the ski lift like race horses escape from the gate and tear down the hill as fast as possible. I do not win anymore but I hold my own and have a great time. Out of the many things I enjoy about skiing, I thought I would share with you one of the more obscure; I love the sound of ski lifts. The gentle hum that clicks along in between towers is a very soothing accompaniment to the blinding white snow, forest green trees and the color wheel of apparel that is worn by skiers and snowboarders. Every once in awhile I'll hear that same hum and be reminded of ski trips to Mammoth. The last thing I want to share is not actually in Mammoth Lakes, but in Bishop, CA. 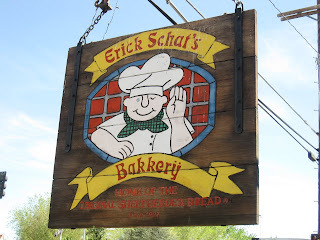 Schat's Bakery in Bishop,CA is a required stop either to/from Mammoth as they not only made excellent bread but have a huge pastry department. I would have taken a photo of the enormous pastry case but there was actually a sign posted to not take photos! 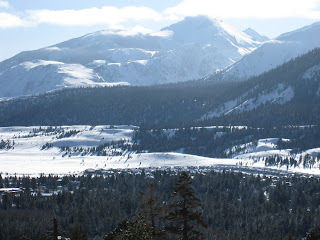 If you ever go to Mammoth, make sure you stop here as you will not be disappointed. Today I began feeling withdrawal symptoms from the lack of craftiness on my part in over a week so tomorrow I plan on spending a few hours with my sewing machine in podcast listening bliss. 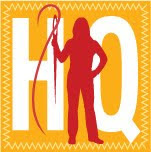 Also on the agenda is to record another History Quilter Podcast Episode which will touch on Quilting in the New England area from the 1780's through the 1850's. Cool! When we lived in Michigan, their school had a ski club. I volunteer-chaperoned, in exchange for lessons (I grew up in Louisiana = no snow or "winter sports"). I remember our first time up the lift (scary!) and having a near heart attack watching them ski straight down (no turns) the hill away from me at 150 mph! It took me about 1000 times as long to get to the bottom. 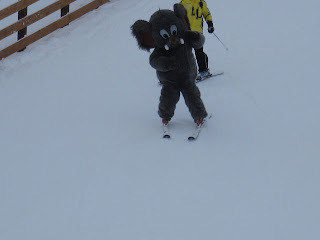 Luckily Michigan's ski hills are nothing like out West, so it was a super fantastic place for all of us to learn. We used to go to Mammoth and eat at the Stove. Do you know if that restaurant is still there?